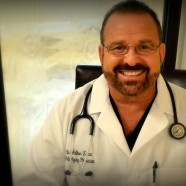 Dr. Arthur Zacco was born and raised in Orlando Florida. He graduated from the University of Central Florida in 1986 with a degree in Biology and minor in Chemistry. He followed his undergraduate at A.T. Stills University of Health Services – KCOM Campus in Kirksville, MO, graduating in 1991. He was awarded an internship and residency at Genesys Regional Medical Center in Flint, MI, which he completed in 1996. Dr. Zacco also spent one year in specialized surgical training after his residency. Dr. Zacco is board certified in family medicine, and board certified in Anti-Aging from The American Academy of Anti Aging Medicine (A4M), and the North Carolina Medical Society. He is a member in good standing with North Carolina Medical Society, as well as the International Society of Hair Restoration Surgery. In 2014, Dr. Zacco became the first certified physician in Integrative Medicine in Wake County,NC. Dr. Zacco has always been an athlete; his passion is boxing. As a young man, Dr. Zacco was a Golden Glove Champion amateur boxer. Since the age of fifteen, he has progressed through the sport from boxer to trainer, to cut-man, and ultimately, team physician. Dr. Zacco was internationally certified as a ring side physician for professional and amateur boxing in 1994. Dr. Zacco has been the team physician to two world champion boxers and a professional boxing trainer to many others. To this day, Dr. Zacco continues to box as a part of his daily workout routine. In his free time he also enjoys motocross. I believe each patient is unique. Therefore, I spend a great deal of time with each one, in order to determine the underlying cause of disease and individualize treatment to meet their specific needs. Patient education, diet, lifestyle changes, supplements, homeopathy, botanical medicine, and mindfulness are utilized to bring the patient back to health. My objective is to compassionately guide patients on their path to health so they are able to live life to the fullest. I provide a nurturing, comfortable space where I empower my patients with the tools necessary for healing mind and body.